534 Edgecrest Cir, Homewood, AL.| MLS# 843205 | Richard Jacks UABLIVING.com 205-910-2297 | Birmingham AL Real Estate | Contact us to request more information about our Homes for Sale in the Birmingham AL area. 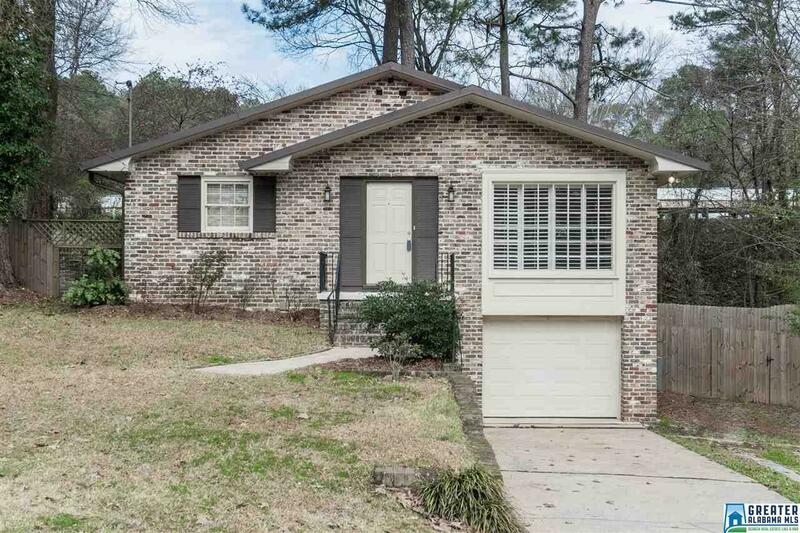 Now is the perfect time to buy a home in the heart of West Homewood! Just a short walk to the new Pizzeria GM and Patriot Park, this 3/2 features dark hardwood floors, a large kitchen and eat-in area with updated appliances, updated bathroom, and double closets in each bedroom. French doors lead you from the kitchen to the open patio, which makes perfect space for entertaining guests this spring in the large fenced in backyard. There are two spots to park cars in the basement, space for washer and dryer, and lots of storage space! Schedule your showing today! Driving Directions: From Oxmoor, Take First Right Onto Edgecrest, Year Left, House Is On Left At Top Of Hill.